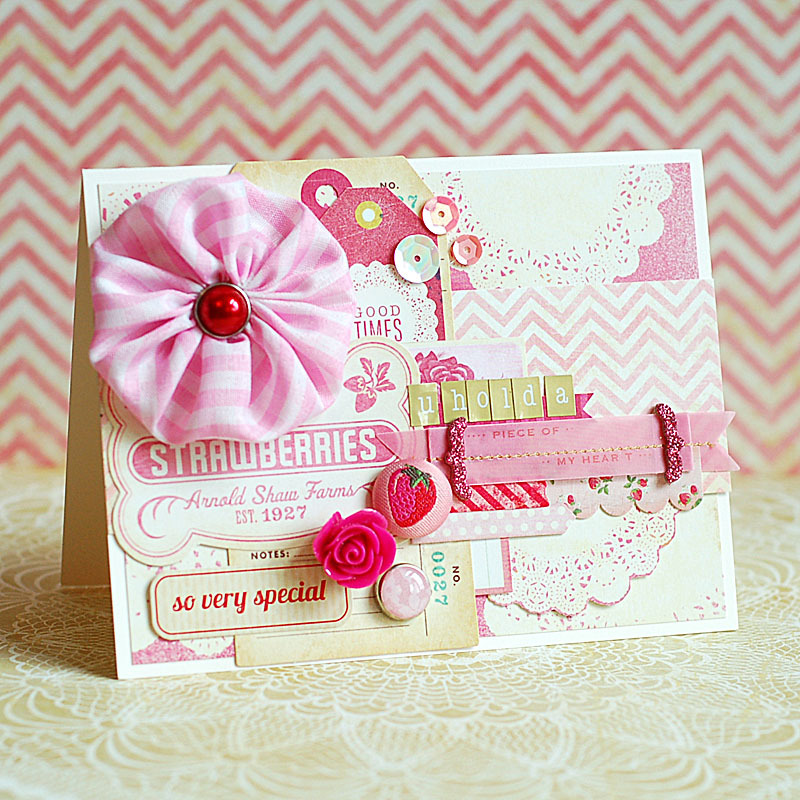 Since I'm blogging & all....why don't I share with you the card that I created today just because I wanted to. Tee hee! I combined Studio Calico "Sundrifter" with Elle's Studio "You and Me", then added some other things here and there to create this sweetie of a card. I'm totally loving it...I hope you do too! 2. Cut pink paper slightly smaller, then adhere. 3. Adhere the tabbed block to the upper right corner. 4. Adhere all of the chipboard circles to the top of it, except for the last one. 5. Adhere the diecut circles to the top of each one, then adhere the vellum frame to the front. 6. Add the diecut circles to the rest of the chipboard circles, including the one not adhered yet. 7. Adhere a blue glitter photo corner to the bottom, then layer the last chipboard circle to the top of it. 8. Add the letter stickers to that circle, then accent with a chipboard arrow & wood veneer @ symbol. 9. Layer the banner cutout with a blue glittered tab to the top chipboard circle, then accent with a wood asterisk & bling. 10. 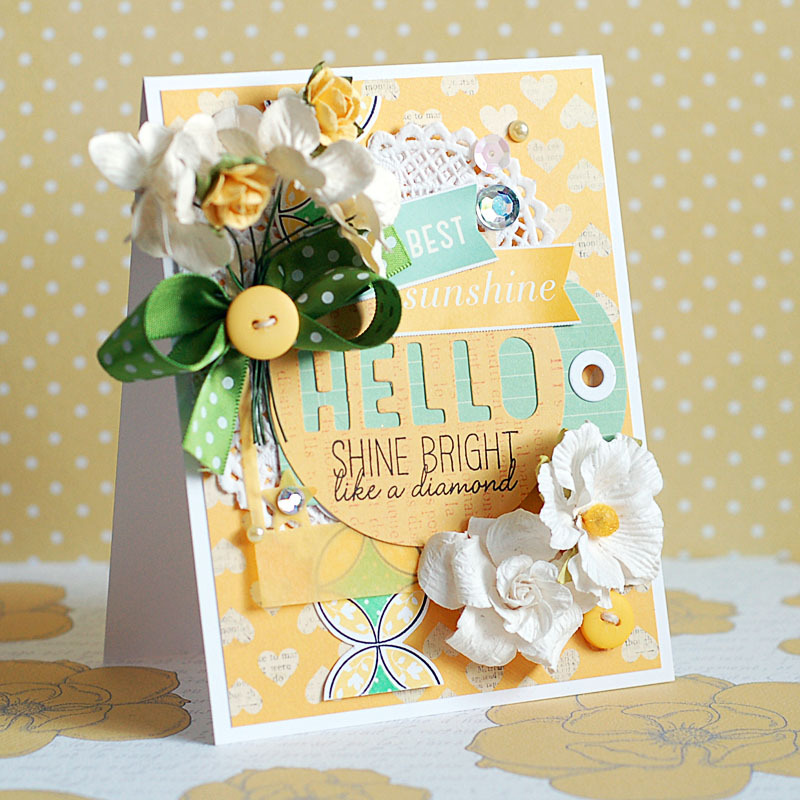 Add sequins to the middle chipboard circle to finish. Well, there you have it!! That sketch baffled me earlier this week....but then it REALLY inspired me to use up those chipboard circles that have really random cutouts in the center. Gotta love getting rid of some stash you've had around for ages!! Yay!! I am going to get off the computer, and continue on with my day. Need to go fold some laundry & put it away. Talk to you soon! 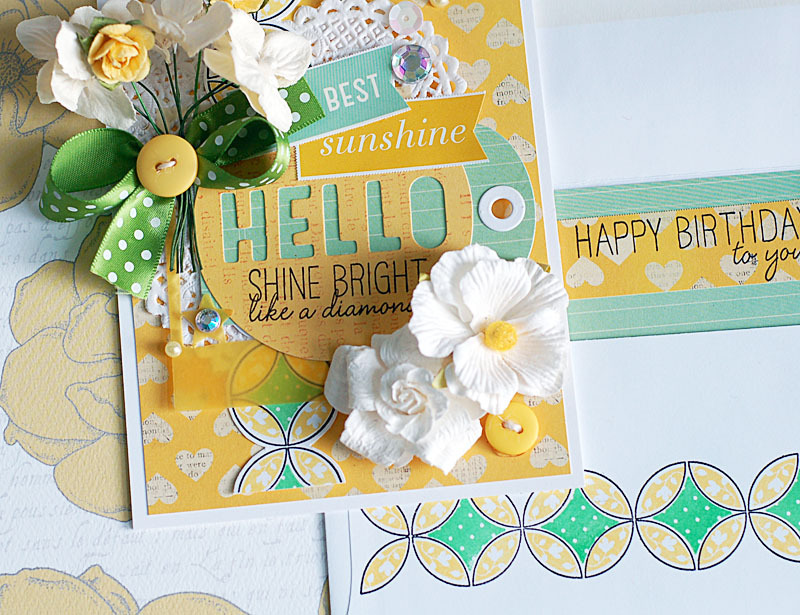 It's Thursday, towards the end of the month....which means it is time for the Glitz Design monthly blog hop! 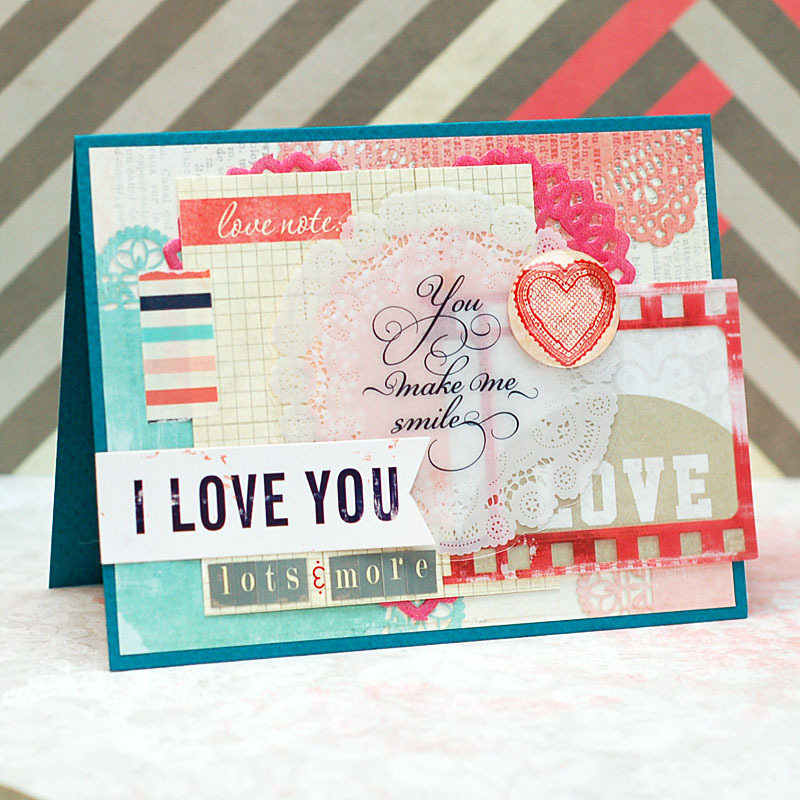 We are showcasing the "Love You Madly" collection this week, and I think you are going to be so inspired!! This is also the end of the term for our current design team, and their final set of projects for Glitz Design. We are so thankful for all the hard work and amazing projects these designers have for Glitz, and I look forward to seeing what they do in the future. With that being said, we will be introducing the new design team starting on Monday at the Glitz blog...so be sure to check back with us each day next week as we share those staying on with us, and our new team members! I have three cards to share with you today using the Love You Madly collection! They are cards I finished awhile back, but have never shared them on my blog. So, I figured it was a good time to share them!! I seriously love the colors of this collection, and how perfect it is for love themed cards, pages, projects....anything you can think of. There is just something about grey, coral & aqua....I just adore it. 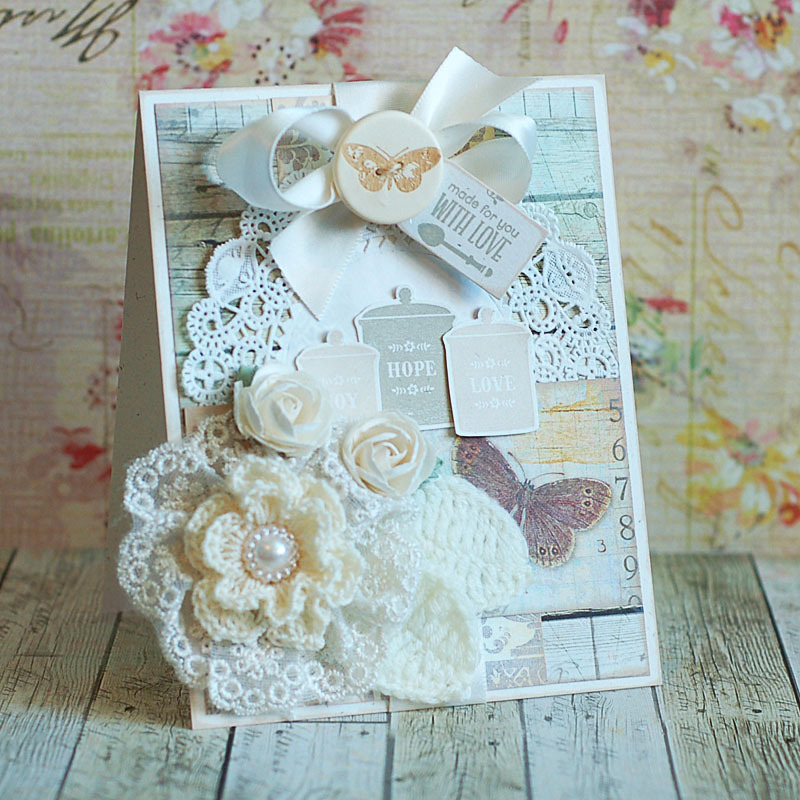 Glitz Design is giving a "Love You Madly" prize package to one lucky commenter! The winner will be picked randomly from all of the designer blogs & the Glitz blog...so be sure to comment on each one for a higher chance at winning!! But please, only one comment per blog! I know that I can't wait to sit down with a cappuccino and check out what everyone did! Today at Mama Elephant we are showcasing the final new stamp set for April, and it is an alphabet stamp set that you will just LOVE! It is called "Flashy Letters", and it is the same font that many of the sentiments from this month were created in as well! I love how cohesive the majority of this release was, and how well three of the stamp sets work together! For my card today, I went with a little sparkle...and created a custom sentiment using my computer and the stamp set. This is one of my latest fave sayings right now...it is my pick me up when I'm feeling down, so I knew I had to create a card with it! Here is what I made! 2. Print the top part of the sentiment using your Microsoft Word or Photoshop & the Century Gothic font. 3. Stamp the rest of the sentiment directly below the printed part. 4. Cut five 1/4-inch strips of cardstock and attach them to a piece of scrap cardstock. 5. 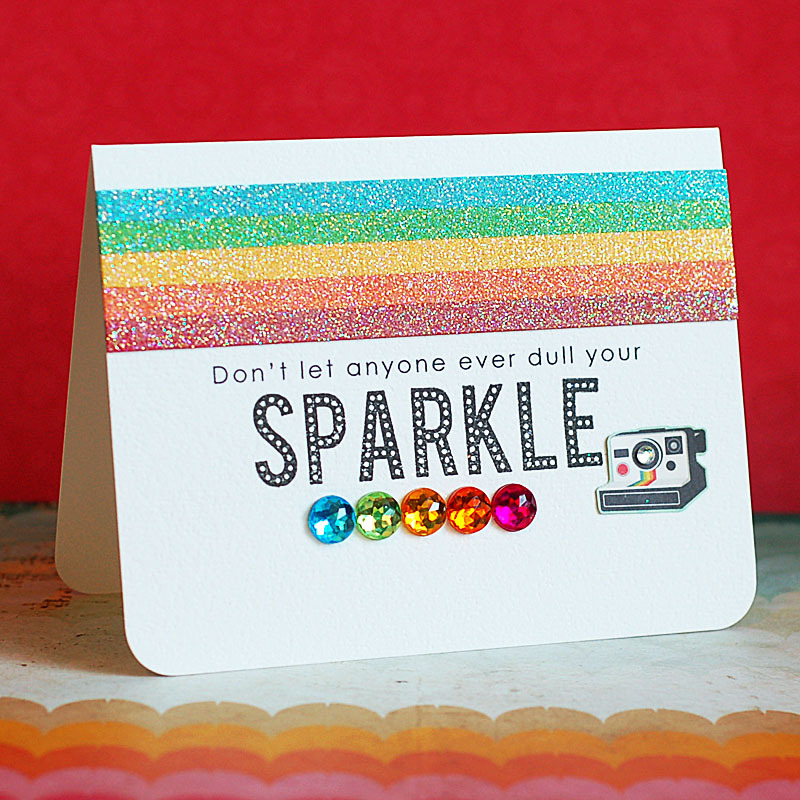 Cover them in glitter, then adhere to the top of the card. 6. Fussy cut a camera from patterned paper, then adhere next to the sentiment. 7. 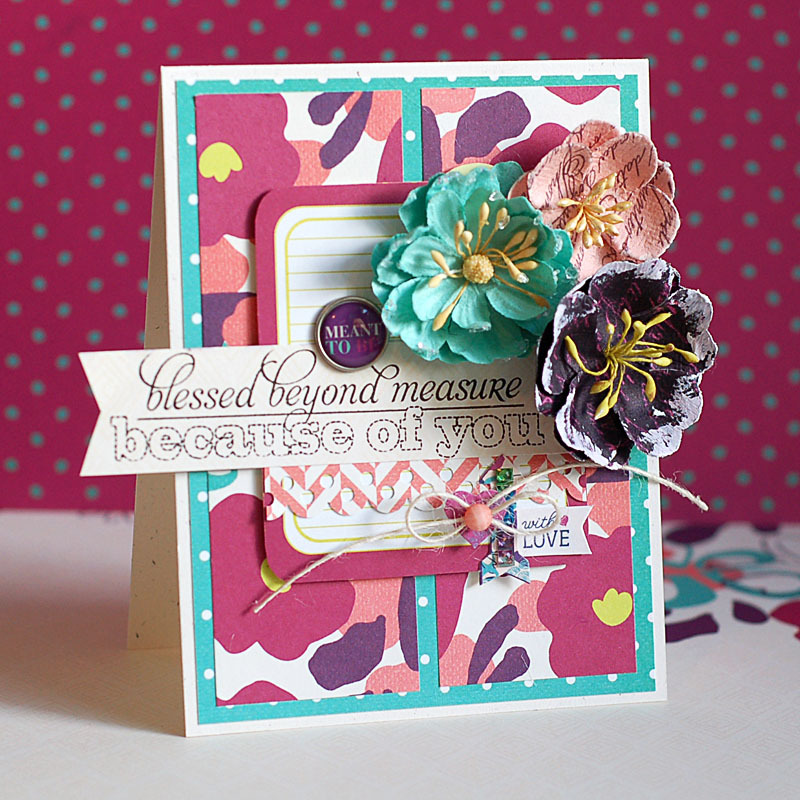 Add matching colored jewels underneath the sentiment to finish. Yeah- I pretty much love how this turned out. Rainbows, sparkle, a fabulous sentiment, a cute little Polaroid camera....you pretty much can't go wrong with those things. Even better when they're combined....tee hee!! The other Mama Elephant designers also have some projects to share using the Flashy Letters stamps set....so be sure to check them out too! Happy Wednesday, everyone!! It's the middle of the week, and I hope it has been a good one so far! We had some friends come over for dinner last night, and we had grilled steaks, mashed potatoes with onion gravy, a green salad & refreshing wine/beer. We chatted while we ate, then watched the latest eposide of The Following that we recorded this week. It was a fun night with friends we hadn't seen in forever..so it was nice! 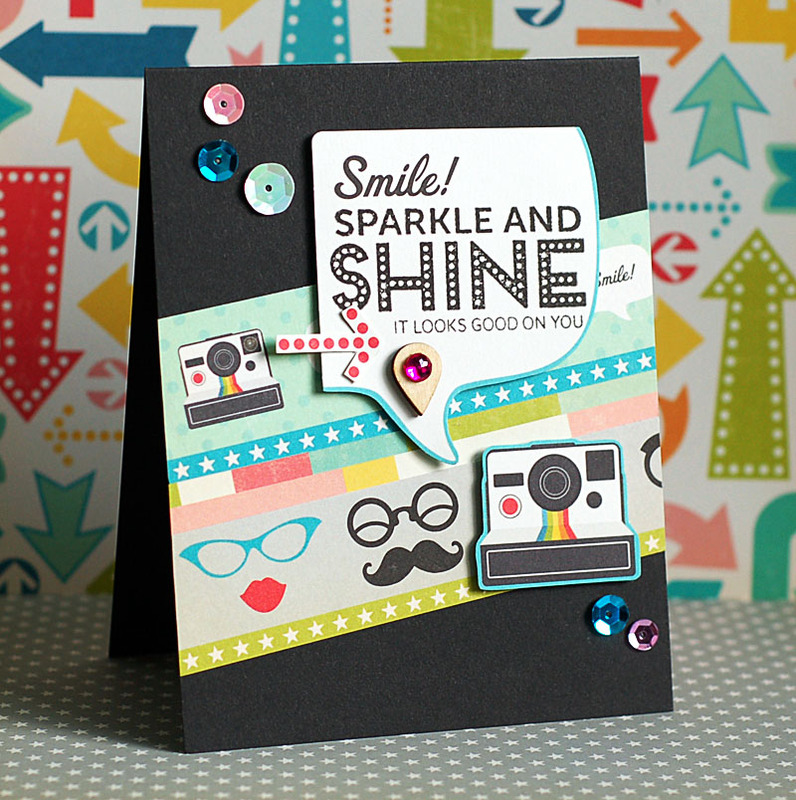 Today at Mama Elephant we are showcasing the new stamp set called "Bling". This set has some of the most amazing sentiments in it, and can be used effortlessly with the other new sets, "Central Park" & "Flashy Letters". 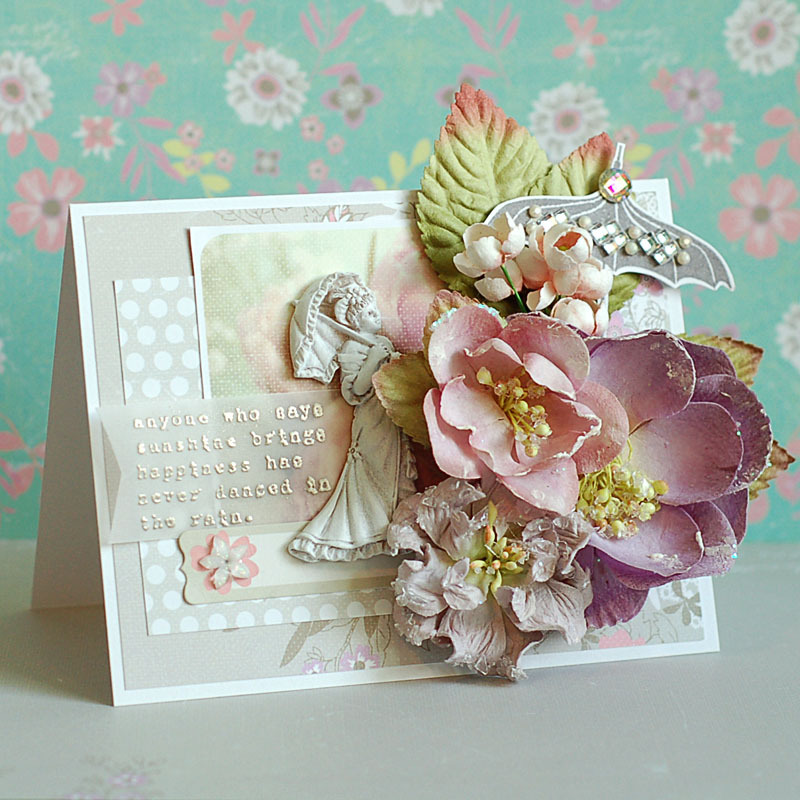 I had fun combining this stamp set with the October Afternoon "Midway" collection...and this is what I created! 2. 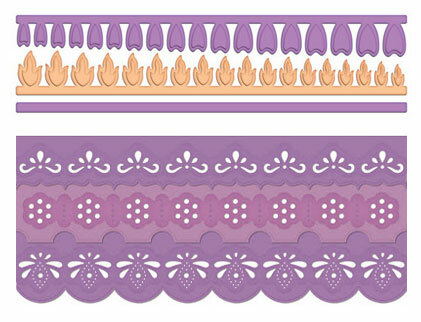 Cut three strips of patterned paper, adhere angled to the card front, then trim the excess. 3. 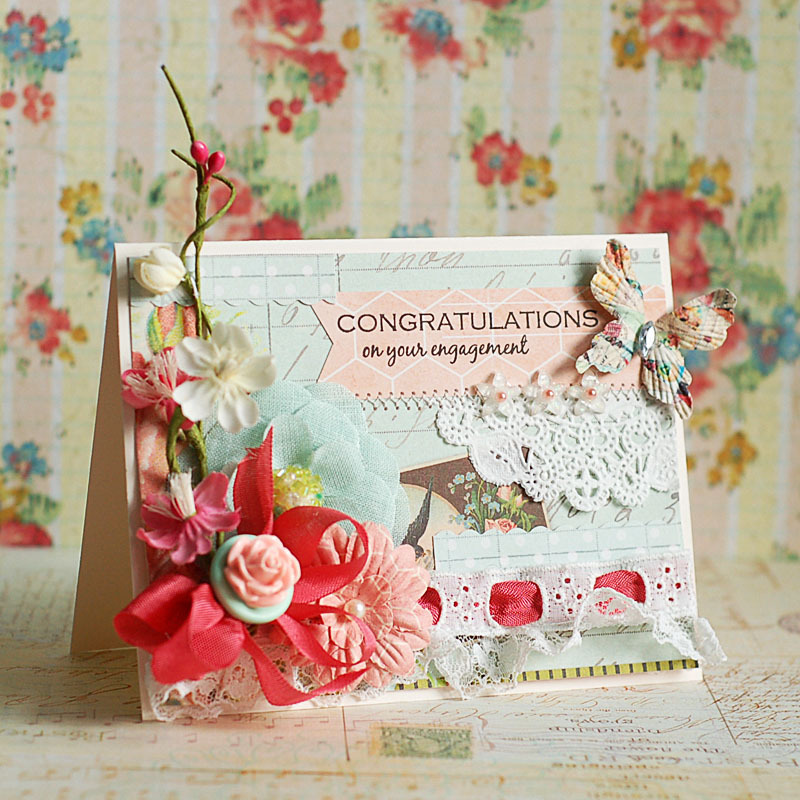 Stamp the sentiment to a journal card, then fussy cut & adhere to the front with foam adhesive. 4. Fussy cut the arrow, and adhere to the stamped speech bubble. 5. Add a wood geotag accent with a pink jewel to the bottom of the speech bubble. 6. Accent with sequins to finish. I hope that you like my fun encouragement card today! The other Mama Elephant designers also have some projects to share using the Bling stamps set....so be sure to check them out too! I hope that you have a wonderful Wednesday!! Happy Tuesday, everyone!! Hope your Monday was a good one! Well, my experience at Oula on Monday was....interesting. We'll just leave it at that because, you know, if you don't have anything nice to say. Then I came home & made cards, met with my friend Laurie that afternoon....and then hung out with Josh for the rest of the night. Our DVR was FULL when we got home from Texas, so we have been chipping away at it, trying to get everything watched. Today at Mama Elephant we are showcasing the new stamp set called "Tree Friend". 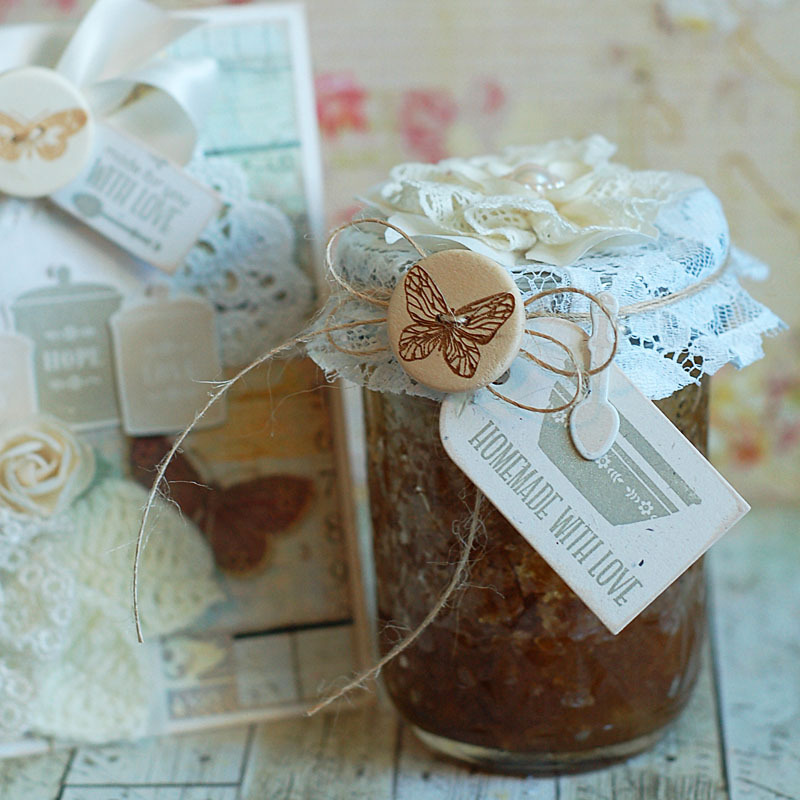 This is a super sweet stamp set with lovely sentiments & adorable silhouetted animals. There is also a large, flowering tree....but I did not use it for my card this time around. Here is what I created! 1. 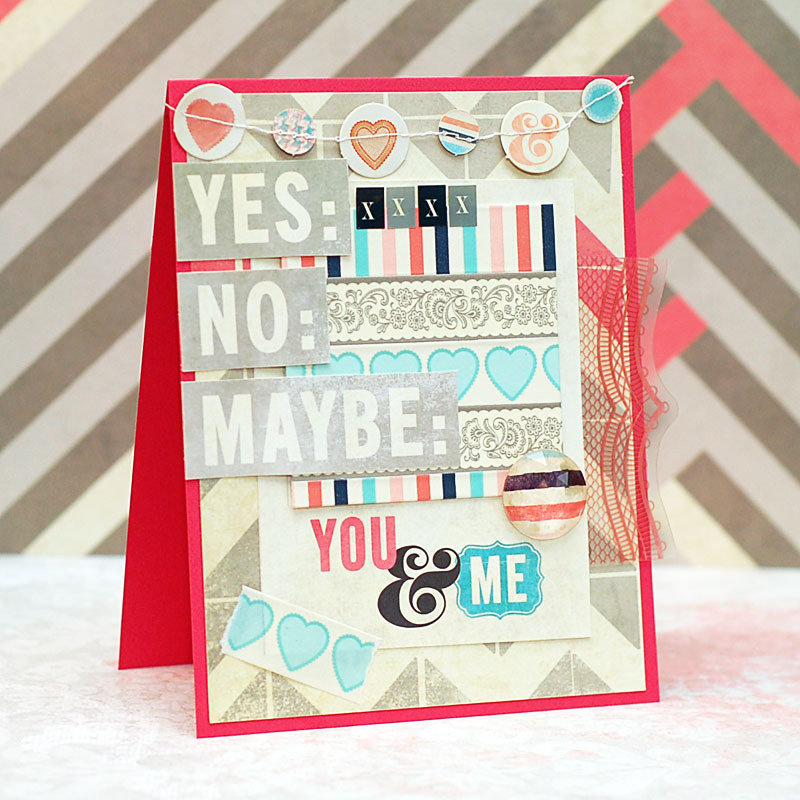 Make A2 card from cream cardstock. 2. Cut a navy blue paper strip, glitter the top of it, then adhere to the bottom of the card. 3. Cut a pink paper block and adhere to the top, adding foam dots underneath just the bottom of it. 4. Add a scalloped sticker to the top, then trim the excess. 5. Wrap ribbon around the left side. 6. 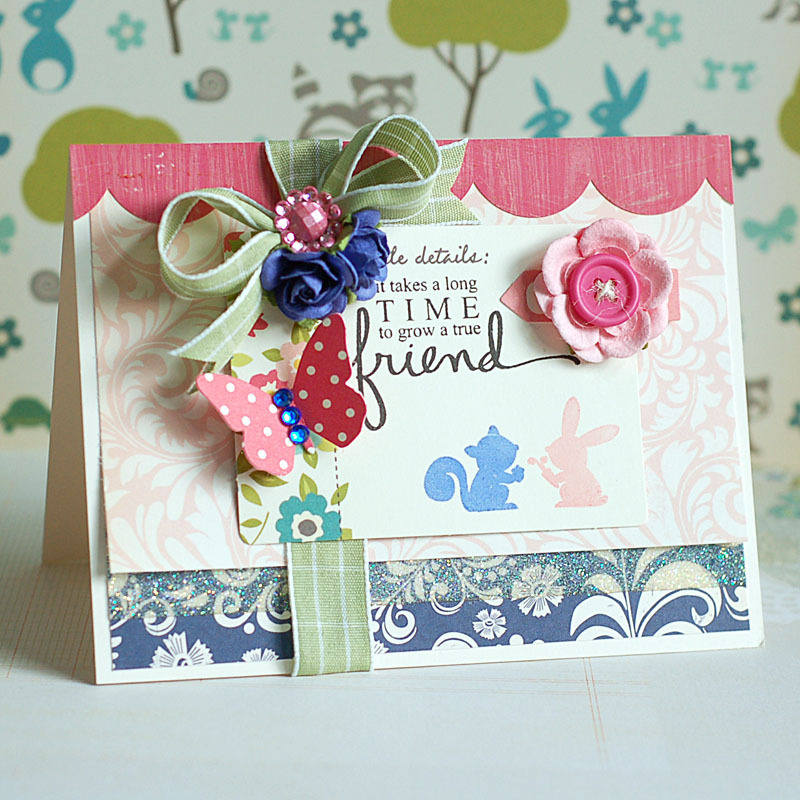 Stamp the sentiment & animals to a journal card, then adhere it to the center, over top of the ribbon. 7. Tie a bow from matching ribbon, and adhere to the upper left corner. 8. Accent with a pink jewel & navy blue paper flowers. 9. Add the diecut butterfly below the flowers, then accent with navy blue jewels. 10. 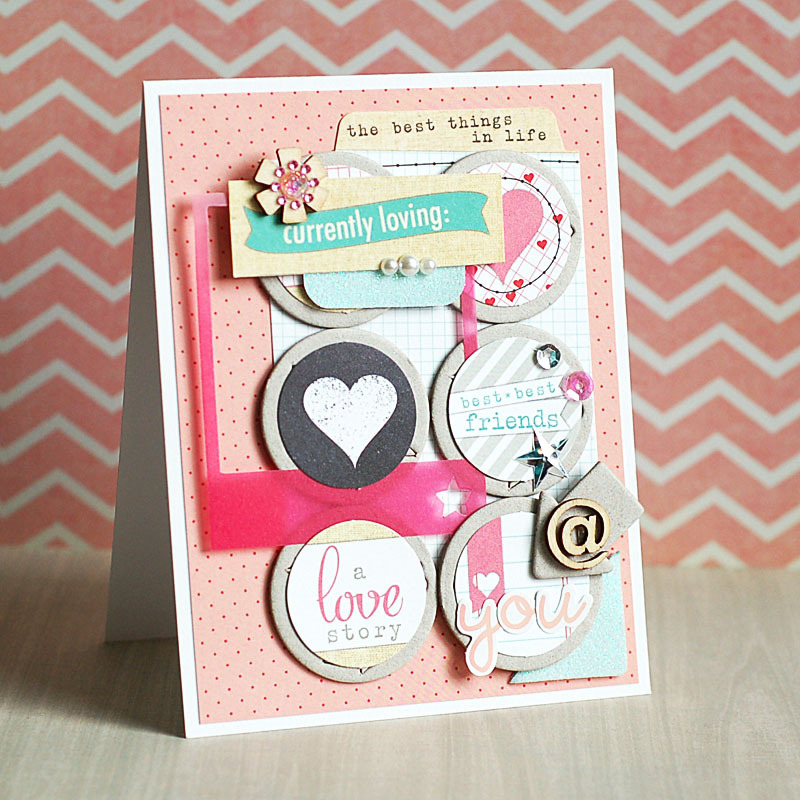 Layer the diecut arrow, flower & twine threaded button to the right of the sentiment to finish. I hope that you like my sweet little friendship card today! The other Mama Elephant designers also have some projects to share using the Tree Friends stamps set....so be sure to check them out too! I hope that you have a wonderful Tuesday!! I've used the new stamp set "Central Park" for my card today, and I kept it super clean & simple!! 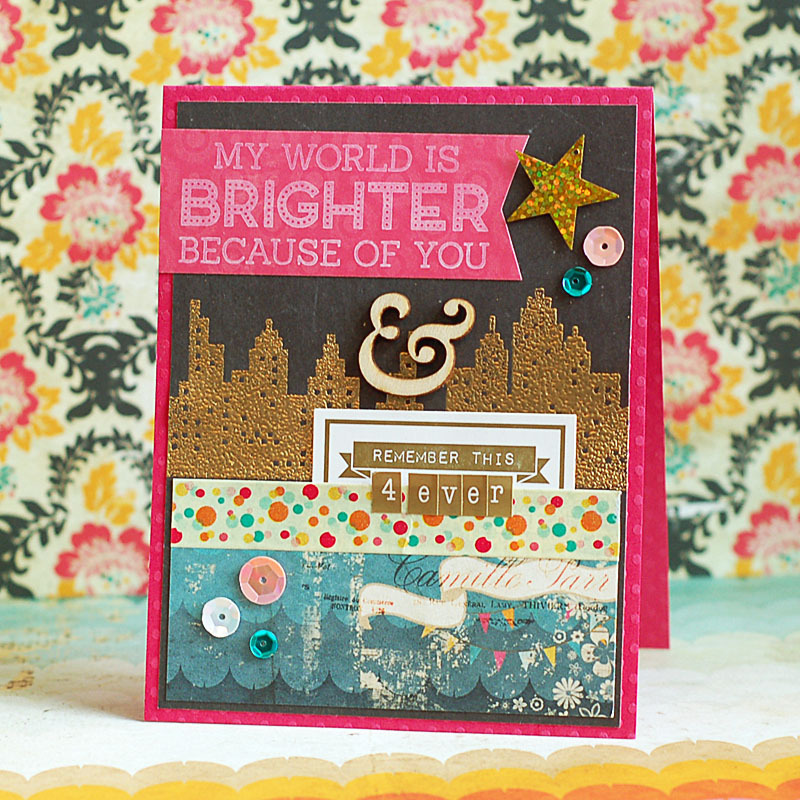 I love how well this stamp set worked with these fabulous glittery Thickers! Here is what I created! 2. Stamp the cityscape to the bottom of the card front. 3. Stamp the speech bubble and heart above the city scape. 4. 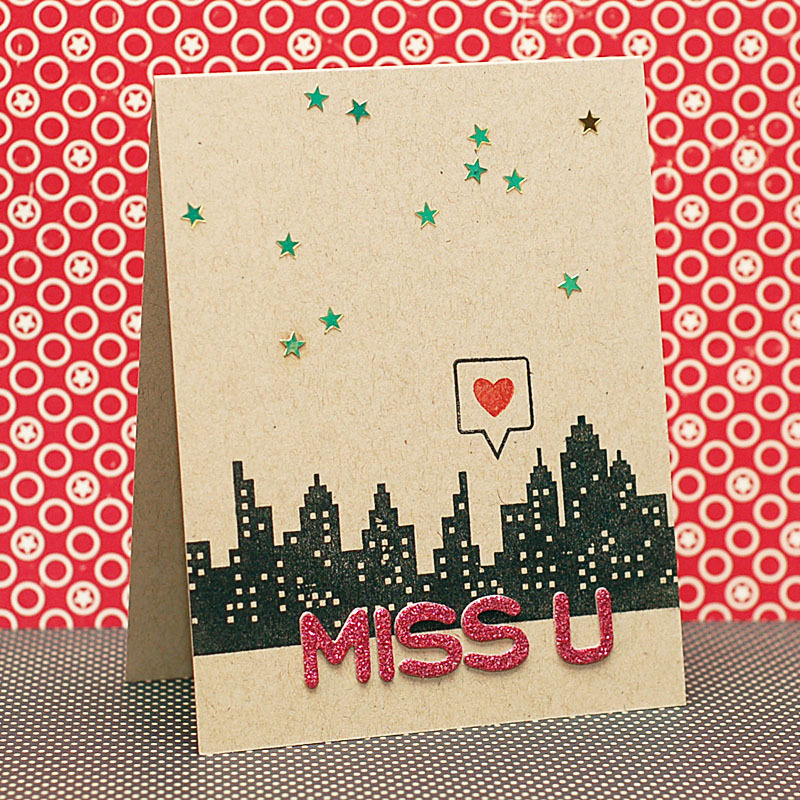 Add the sentiment using glitter thickers to the bottom of the cityscape. 5. Adhere gold stars randomly to the top of the card to finish. See? Easy peasy...and super cute! These could easily be mass produced with a number of different sentiments, and different icons in the speech bubble! The gold stars are not listed in the supply list above, and that is because I picked them up at Michael's in the sequins section. Just an FYI if you are looking for them! 3. Thread the lace with seam binding, then wrap around the bottom of the paper block. 4. 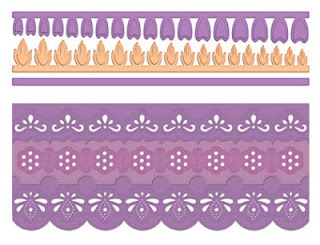 Cut a banner edge to a pink paper strip, then layer to the top of the card with a doily piece. 5. Stamp the sentiment to the pink strip, then zig-zag stitch along the seam. 6. Adhere the entire paper block to the card front. 7. 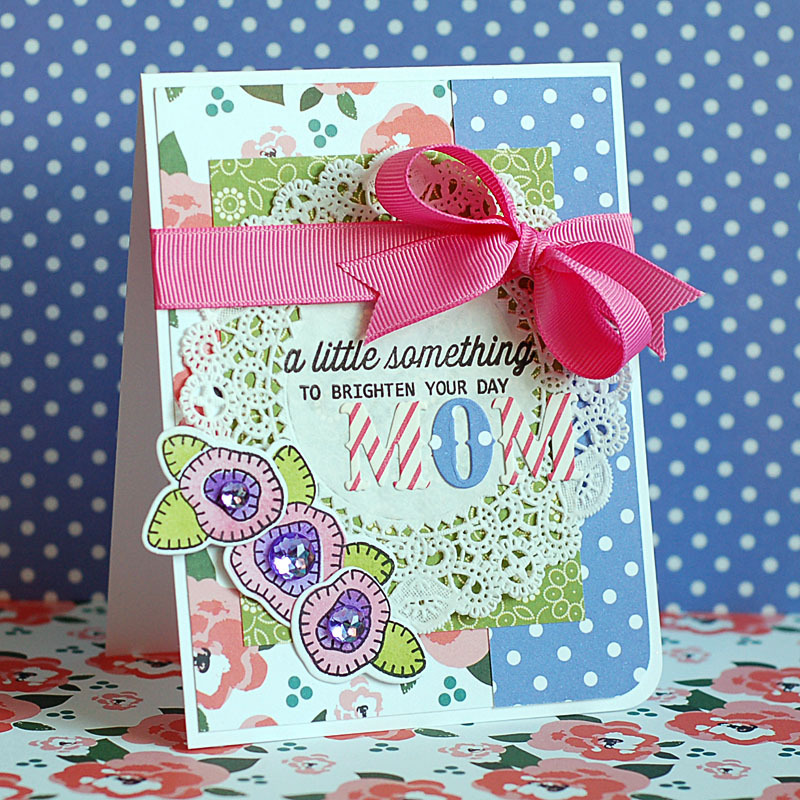 Cut a scalloped edge to a polka dot strip, cut in two and adhere to the card as shown. 8. Layer the floral vine, fabric flower & paper flower to the right corner. 9. Tie a double bow from matching seam binding, and layer to the flower cluster with two buttons. 10. Add the butterfly and three flowers to the sentiment banner. 11. Add pink pearls to the flower centers to finish. I will come back and add in the supply list a little bit later. I need to finish it up, and I still have a couple other things I need to get done. But just so you know for now....the majority of the product used above is from Prima's new "Divine" collection! 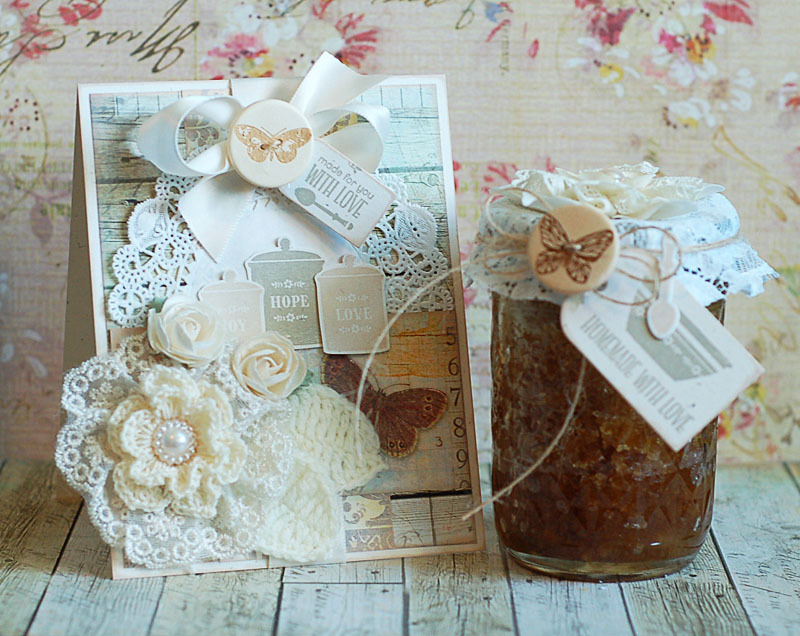 I hope that you've enjoyed my sweet & shabby engagement card today! I will be back soon with more cards to share! The song "Stars" by Grace Potter & The Nocturnals just played on my iTunes list, which couldn't be more fitting for the card I am about to share with you. (BTW- I LOVE that song. If you haven't heard it, I highly suggest it!!) I created this card primarily as a birthday card, but it could also be used for graduation season, which is sneaking up on us! 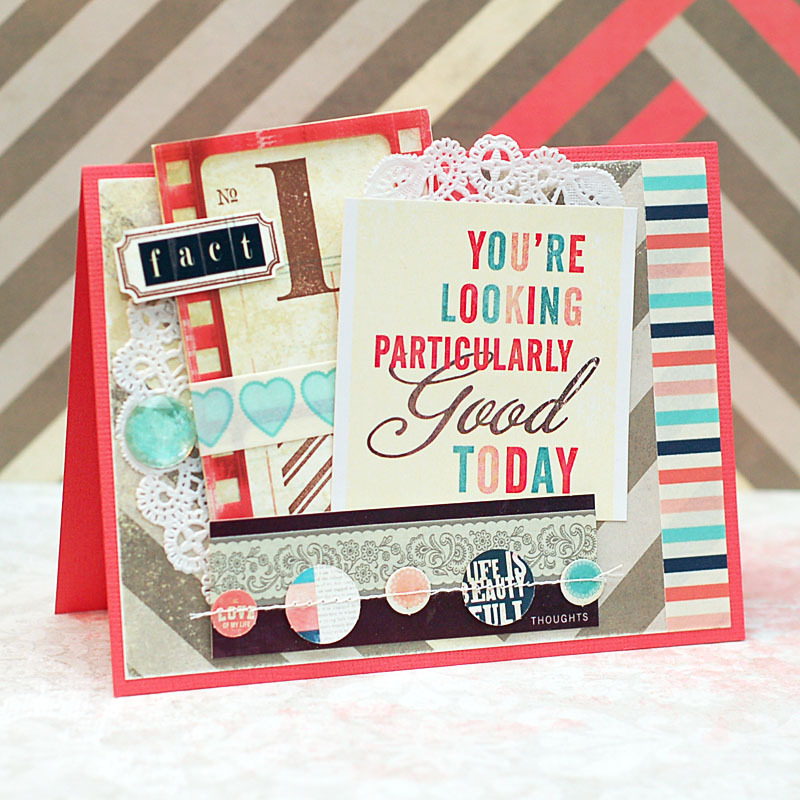 I have mixed Studio Calico, October Afternoon, American Crafts & some other fun goodies, and this is how it turned out. 2. Cut woodgrain paper slightly smaller. 3. Adhere a star paper block to the lower right side, and a beige dotted paper block to the upper left. 4. Add the tag to the lower left, then wrap a strip of vellum across the middle. 5. Add the two banner stickers to the right side of the tag, then adhere the butterfly journal card over top. 6. Trim the excess journal card, then adhere the entire block to the card front. 7. Stamp the star trails to the vellum strip, leaving the word "loved" showing through. 8. Stitch a button around the bow using twine, then add to the top of the tag. 9. 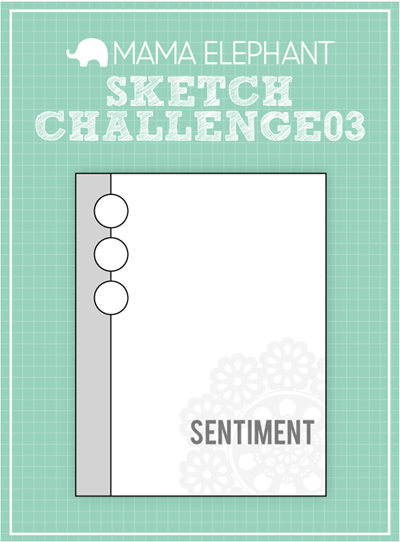 Stamp the sentiment to the journal card, then add a strip of washi underneath it. 10. Accent the washi tape with jewels & a diecut photo corner. 11. Add the diecut stars and wood veneer pieces as shown, then accent with jewels & sequins to finish. 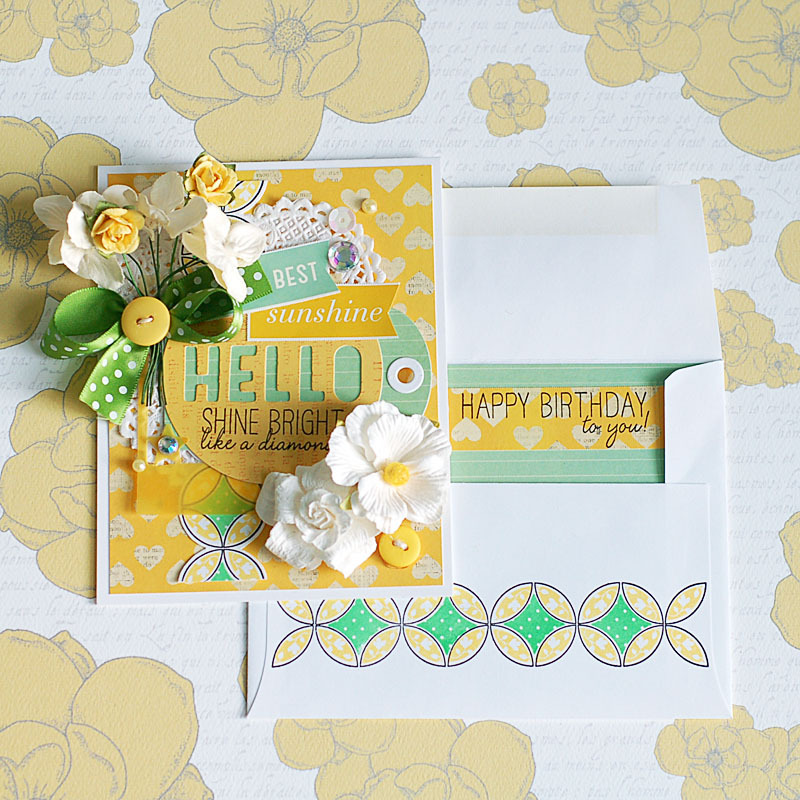 In case you are wondering, the diecut stars & photo corner are from the Studio Calico "Back to School" ephemera pack. I couldn't find it anywhere online available for purchase....but I wanted you to be aware in case you had them in your stash! 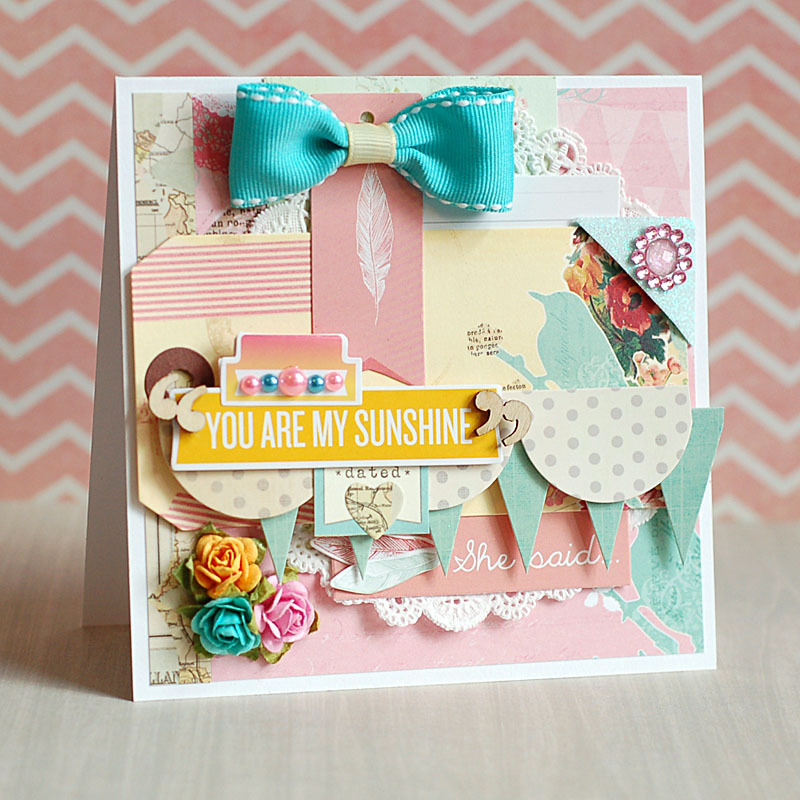 Of course, if you want to recreate this look you can use any diecut stars or photo corners. That is all I have to share with you today! 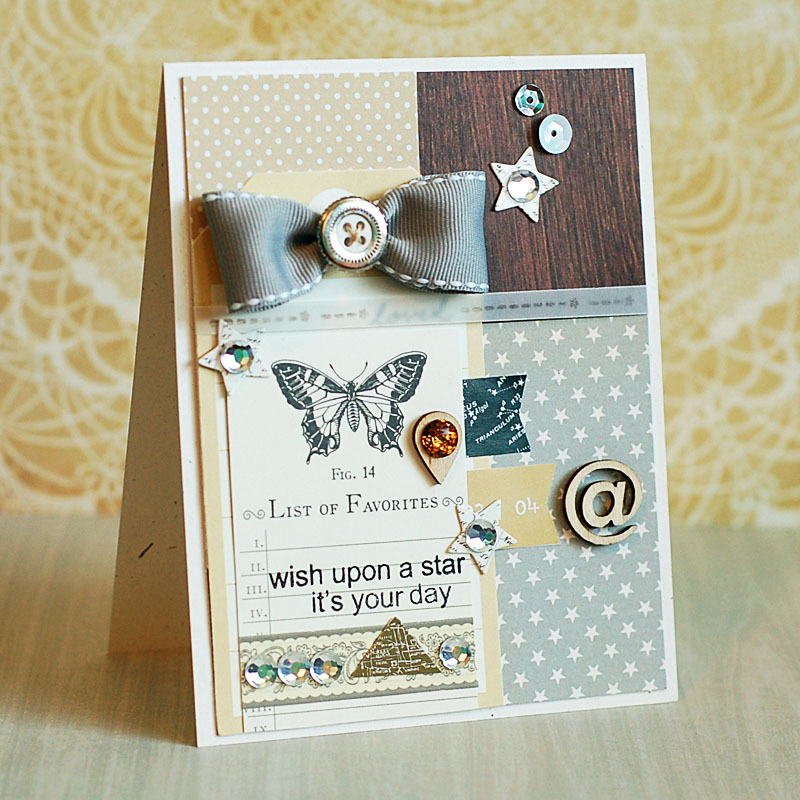 I hope you enjoyed my neutral toned card full of stars!! Have a wonderful rest of your day, and I will be back soon with another card to share!